In light of the recent tragic police shooting of an Australian woman in Minneapolis, the Minneapolis police is changing its policy on body cameras. 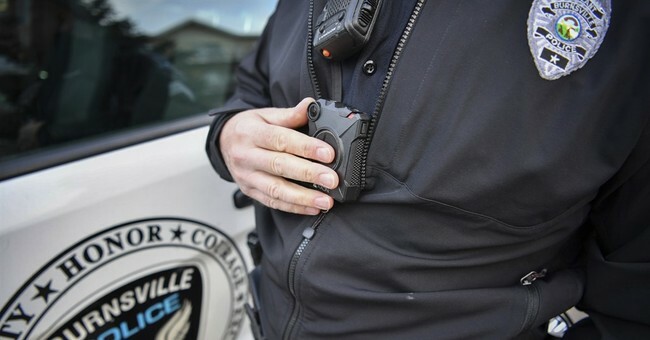 Police are now required to turn on their body cameras when they receive a call for help, and when performing a traffic stop, among other instances, writes the AP. On its website, the Minneapolis Police shows a revised policy, leaving strikeouts to indicate changes. One struck-out sentence reads, "When safe to do so, officers shall manually activate the BWC during the following situations." The revision says, "Officers shall activate their BWC for the following circumstances: ..." followed by a list of situations, which also have revisions. The new policy will be enacted by the Minneapolis police Saturday, according to Acting Police Chief Medaria Arradondo. A new system will be implemented in squad vehicles in a couple months that will automatically turn on body cameras. The change in policy comes after Justine Damond, a 40-year-old resident of Minneapolis, was killed by a police officer responding to Damond’s 911 call. Damond made the call suspecting a sexual assault near her home. When she walked out to the police vehicle, there was a startling loud sound by the car, and Officer Mohamed Noor shot her through the window. According to investigators, a woman slapped the car, it is not specified if it was Damond. Neither Noor nor Officer Matthew Harrity -- the other officer present -- had on their body cameras till after the shooting. Medaria said that the policy is still subject to change.